A doll house is such a classic toy that is seems a shame to miss out on having one if you don’t have daughters – but they’re often so feminine in style that it’s hard to convince little boys of the fun that can be had playing with them. One design company has just made that problem go away. This is the amazing and bright Attic House from Mint Rhapsody, an Australian husband and wife design team from Victoria. Their range is a bit different from the kinds of things we see often here at Babyology – primarily because it’s all made from high quality acrylic, not often found in gear for kids and families. 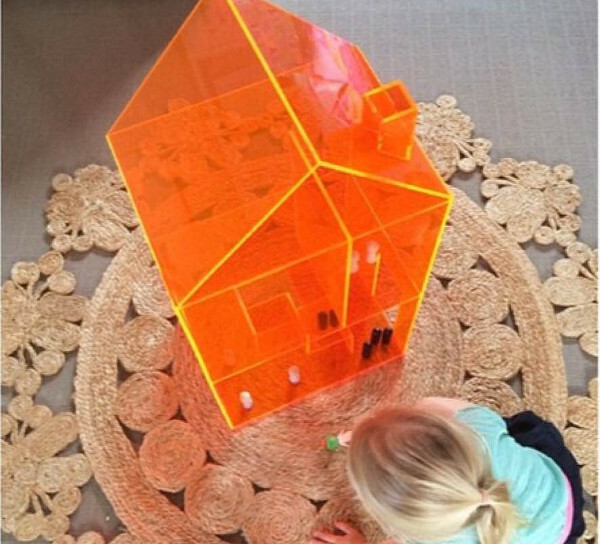 It’s ideally suited for modern dollhouses, however, and that’s exactly what they have set out to produce with the Attic House – a house that aims to appeal to all children, and its clean lines are pretty sure to appeal to adults as well. It comes in bright neon colours (orange and lime green), and can be preordered in clear acrylic now too. 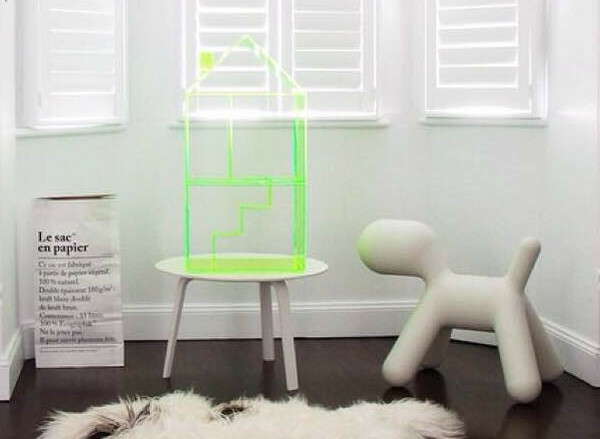 Its acrylic composition means the house can be drawn all over and wiped clean, using whiteboard markers or chalk pens. A family of five little wooden people and a chalkboard sticker decal complete the set. The Attic House will set you back $297 and can be bought directly from Mint Rhapsody. Shipping in Australia is free.